Smith Cove’s Pier 91 event center will host over three-hundred businesses gathered here in the Emerald City to connect with suppliers, colleagues and enthusiastic consumers. 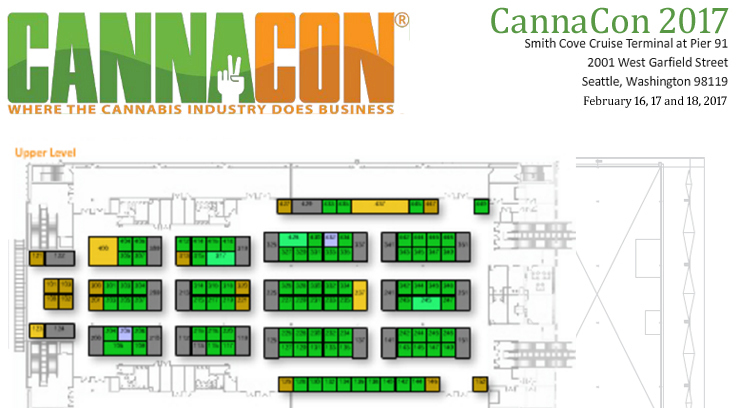 Cannacon presents a broad collection of Seminars featuring expert speakers on topics from growing to marketing. The trade show attracts exhibitors from around the world; there will be symposia, budtender certification classes, networking events, live glassblowing, cooking shows, and more! But remember; this is a non-smoking and non-consuming event dedicated to business development, so there is no designated area to consume. Furthermore, Washington pot laws require cannabis products to be sold in licensed retail locations only, and giveaways are not permitted either, so the crowd at Cannacon stays pretty sober. Seminar topics include Horticulture, Business and Law, with renowned speakers addressing important issues within each discipline. There’s even a gathering of great minds scheduled just before the close of events Saturday with the publisher of Northwest Leaf and several others speaking about their experience as media in the cannabis-legal northwest. 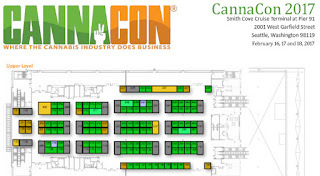 For seminar schedules, exhibitor listings or tickets, go to the event website at Cannacon.org. Of course Nineteen Eighty-Four has recently topped the Amazon best-seller list. The new President’s list of Executive Orders issued in the opening weekend of his term begs an Orwellian comparison. Nearly every Order places a noble protection in peril – health care, the environment, global trade – or hearkens back to pre-war, isolationist America’s tariffs and resulting abysmal exports. The introduction of “alternative facts” to our vernacular, thereby hearkening of Orwell’s “newspeak” and sure to gain Merriam-Webster’s attention, adds yet another mysterious wet spot to the bed we all have to lie in for the next four years. At the end of World War II, basically from 1945 to 1948, author George Orwell witnessed political forces at work to produce self-affirming newspaper articles and editorials across Europe, with shiny new History books on the horizon to educate the next generation. He records several real events from personal experience in his book, In Front of Your Nose, in which a news report didn’t match his eye-witness account; or another political author had written a too-forgiving account because of that paper’s affiliations; or a group of government employees altering their service based on the behaviors witnessed in, or allowed by, their political leaders. Perhaps the goal is to make us weary of fact-checking – to just accept the lies as truth. One can summarize from In Front of Your Nose, that Orwell would define the role of a journalist as a noble responsibility mistakenly bestowed upon any fool in control of the English language. Today’s political spin doctors rely on a gullible public to whom they feed a regular diet of “alternate facts” and a consistent stream of straight-faced falsehoods, in order that that gullible public will believe everything their elected leaders say. In Nineteen Eighty-Four, Winston, the central character, works a job that requires him to re-write history by altering the texts of news articles from the past. Today’s journalists seeking to inform the public will need an extra measure of not only courage, but tenacity over the next four years to continue to debunk the gushing deluge of falsehoods so proudly delivered by the President and those surrounding him as “alternative facts”. For any American who still hasn’t read Orwell’s opus and swan song, Nineteen Eighty-Four, the time has indeed come. Seattle Times article Jan 25, 2016 (http://www.seattletimes.com/nation-world/1984-sales-soar-after-alternative-facts-trump-claims/). “Freedom of the Park”, essay by George Orwell, London Tribune, December 7, 1945.